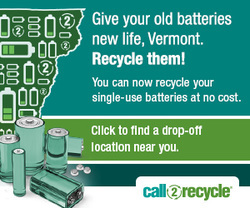 Thanks to Vermont's Primary Battery Recycling Law, batteries are now easier than ever to recycle in VT. Please Tape or Bag Batteries! To reduce risk of fire during the shipping and handling of batteries, please bag batteries individually or use clear tape to cover all metal terminal ends or attachments. Please use only clear scotch tape or packing tape. Other tapes can conduct electricity and cause problems in transit. 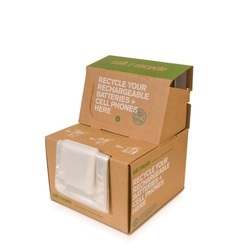 Which batteries can be recycled in Vermont? Look for the Call2Recycle box, pictured right. 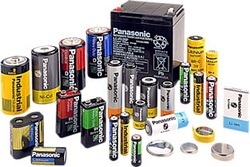 ​The Additional Recyclables Collection Center in Barre City takes batteries of all types, including lead acid batteries.